Lock in a great price for The David Citadel Hotel – rated 8.6 by recent guests! Staff was amazing! So friendly and helpful. Perfect location, spacious rooms, excellent breakfast. Everything. Hotel room, People, location , all perfect. Beautiful bathroom, nice to swim in pool in winter, toiletries. Concierge staff were very helpful. 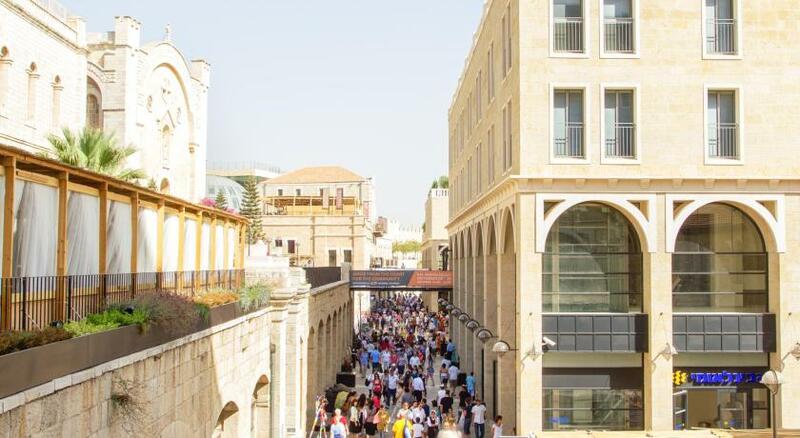 The location is amazing if you're looking for a hotel close to the Mamilla and/or the Old City. View, location, rooms, breakfast, proximity to garage. The hotel is sleek and beautiful, full of marble and wood. It is built to impress. The pool, thought not a standard size, is large enough that one can comfortably swim laps. We liked the location. We found many of the staff rude. At the check in, in the dining room. When we requested a room for outsaughte on the same floor. They said this is impossible, they are overbooked. Miraculously, when her room was infected with hundreds of flies and had to be fumigated, they found a room on the same floor. Some of The waiters in the dining room were rude serving coffee etc. We paid for executive suite and it was very dismal in comparison to the many hotels we visited over the years. We try to visit every year but we’re very disappointed in the hotel this year. We and members of our family have stayed here before. As a matter of fact members of our family this year states at the King David but we insisted on staying with you. Great location. Beautiful very well kept facility. It isn't too big and is very manageable. Excellent staff. Convenient parking. Great outdoor heated pool. Jeremy the Manager was so helpful! He greeted us each day and asked if there was anything we needed. We appreciated his "personal touch"... The food..breakfast, and lunches were amazing with so many choices and the wait staff very accomodating. The David Citadel Hotel This rating is a reflection of how the property compares to the industry standard when it comes to price, facilities and services available. It's based on a self-evaluation by the property. Use this rating to help choose your stay! 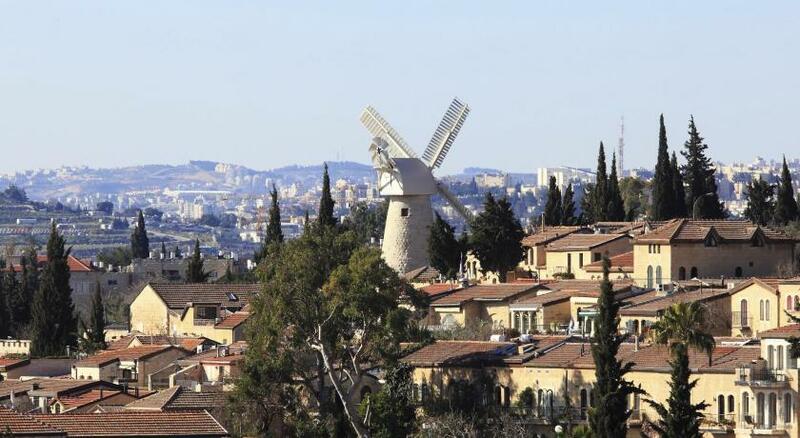 The David Citadel Hotel overlooks the old city of Jerusalem. It features a large swimming pool, free gym, and a range of dining facilities; all with panoramic views. Free WiFi is provided in the entire building. At The David Citadel you have a modern spa and wellness center, plus a range of banqueting halls and business services. You can choose between Mediterranean and Italian cuisine, or a simple snack from the pool bar (open in summer). The hotel is just opposite the Mammilla shopping area featuring a variety of shops, cafés and restaurants. 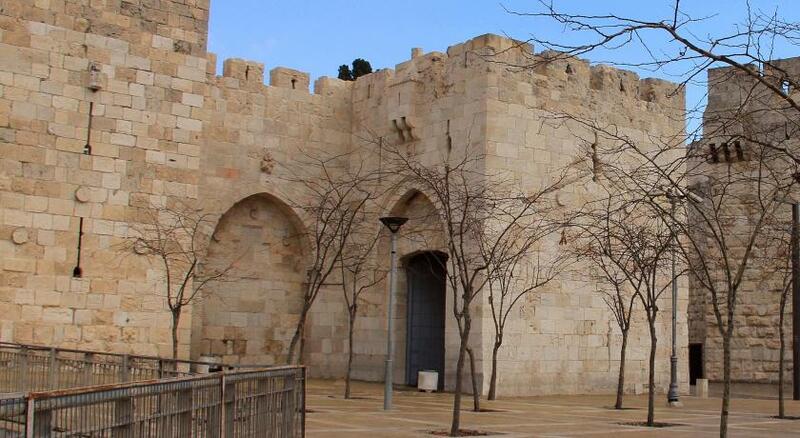 The property is 20 minutes' walk from the Western Wall and 2,950 feet from the Church of the Holy Sepulcher. Ben Gurion Airport is 30 mi away. When would you like to stay at The David Citadel Hotel? Features a large balcony overlooking the old city and a bathroom with bath and shower. Also includes a Nespresso coffee machine and a smart LCD TV. Please specify bed preference when booking. Private parking is available on site (reservation is not needed) and costs ILS 51.88 per day. This suite has a luxurious feel and features a terrace with panoramic views of the Old City. This elegantly furnished room features designer Piero Lissoni's furniture. It comes with air conditioning and a flat-screen TV with cable channels. Offering a balcony with views of the old city, this elegantly furnished air-conditioned room features a private bathroom with bath and shower. Also includes a Nespresso coffee machine and smart LCD TV. This triple room features a soundproofing, mini-bar and air conditioning. This triple room features a mini-bar, cable TV and air conditioning. This luxury 5 star hotel in the center of the city with is where prime ministers, presidents and movie stars stay. Including Clinton, Carey, Condoleezza Rice, PM of Canada, PM of Japan, Princess of Thailand, Kim Kardashian, Kanye West and more. House Rules The David Citadel Hotel takes special requests – add in the next step! Any additional children or adults are charged ILS 501.53 per night for extra beds. The David Citadel Hotel accepts these cards and reserves the right to temporarily hold an amount prior to arrival. The swimming pool is open all year round and warmed up to 28 degrees. I booked this hotel because of all the great reviews, however, we found the hotel highly over rated and very over priced. There is nothing special about the hotel and it feels more like walking into an office building rather than a 5 star hotel. The decor is cold, sterile and not inviting in the least. I was very disappointed with the room. One of our remotes did not have any batteries and our tin of dates had one missing. The breakfast buffet was great and we had no complaints about the staff. Parties and vat mitzvahs every night. One of the rooms did not have the advertising double bed but two singles put together. And we are not happy to be served wine (even good wine) from the Occupied Territories. Breakfast selection. Service provided by hotel's guest interface person. The stuff in the hotel restaurants should be better trained for five star hotel. Good hotel on a great location. A nice waiter on breakfast Said. The concierge mr. Eviatar is struggling with all the problems. If you need help, the most capable person in the hotel is mr. Eviatar and he will help you for sure. Friday night cold meals. Poor staff at meal times. Dusty room. Poor lighting in room. it was very central with good facilities. Maybe the cooler wet weather added to sense of coolness of the place. Maybe customer service training could help. Who knows? We were very glad to leave.